Behind the greatest results, there are usually the simplest things. This simple supplement has been proven by long-time scientific studies and by a big amount of satisfied clients. Its attribute ,,the great“ is definitely well deserved. Decimate eca belongs to the strongest supplements for fat burning available on the world market. If we think about the goal of people who are dedicated to bodybuilding and fitness, we will find out that the majority of them want to gain muscle mass the other group of people, in which we can also involve women, want to be slim. The desire to be slim is not in recent years such a matter of aesthetics, but it is a matter of health. Obesity belongs to civilization diseases that are responsible for thousands of dead people every day. Decimate eca is one of the best products in the category of fat burners. We assure you that such a unique and efficient formula cannot be found elsewhere. The key to success is long-year research of the most powerful ingredients that were proven to effective in the fight against fat. Underground Pharma is the only company on the market that takes into consideration synergic effects of individual ingredients. Thus, you don’t just receive the power of individual ingredients, but their efficiency is increased due to precise mixture. N-Acetyl-L-tyrosine – belongs to non-essential amino acids, which the body is able to produce naturally, only in case if there is enough of phenylalanine in the body – precursor of tyrosine and enzymes participating on the change of phenylalanine to tyrosine. 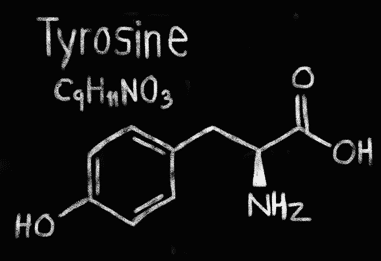 Tyrosine you can find in this foods: almonds, bananas, milk products, avocado, beans and sesame seeds. Tyrosine is added to dietary supplements especially from the reason of its positive action on mental awareness and for the elimination of mental and physical fatigue after difficult training cycles. An important phenomenon is also bringing comfort feeling, what is not bad in the period of decreased caloric intake. Caffeine – belongs to the best known and most widely used stimulants that are popular not only amongst athletes but also amongst people with a hectic lifestyle. The most of caffeine can be found in the coffee, tea or chocolate. In some supplements, caffeine is an individual ingredient. Very often it’s found in various supplements that support fat loss. Caffeine, together with other natural substances belongs to the group marked as alkaloids. Alkaloids are mostly found in plants. Alkaloids are nitrogenous substances of alkaline character. Many of them are very important in medicine and pharmacy for their very strong potential. Alkaloid - caffeine chemically belongs to the group of purine derivatives of xantine where besides that still belongs teobromine (plant Theobroma cacao) or also teofiline, which is found in the medicines and helps to relax bronchospasm. Together with other ingredients create efficient compounds that help in body fat loss. Ma Huang Extract – it is a plant that has been used in Orient for thousands of years. Its main bioactive ingredient is pseudoephedrine. Pseudoephedrine has stimulating and tonic properties. Scientific research has also shown that it has strong thermogenic (temperature rise) effects. It can increase body temperature by up to one degree, which is highly effective for reducing fat without loss of muscle mass. Ephedrine is used to treat asthma and nose and lung congestion. White Willow Bark – or also bark of white willow. Active ingredients in this tree are called salicylates which are used for therapeutic purposes. 1,3-Dimethylamylamine HCL – or also DMAA is very popular and a very strong stimulant of the central nervous system, which provides euphoria, better mood, intensive energy, adrenaline and mental freshness. 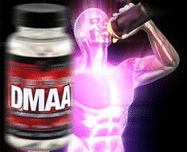 Clean DMAA provides an increase in energy levels lasting 3-5 hours. For this reason, DMAA is a popular substance among athletes, students and all the people with an active lifestyle. DMAA is particularly searched by powerlifters. Due to the ability to enhance energy, DMAA brings excellent support during training. You can train intensively from the beginning until the end! Vinpocetine – is a substance which belongs to psychostimulating drugs. Its efficient substance is practically homonymous compound Vinpocetine. Evodia extract – has been an integral part of traditional Chinese medicine for more than 2000 years. This plant is valued for its spicy and hot taste. Small fruits of red-brown colour are harvested and dried in summer months. Evodia has recently been popular and used mainly by those who are not satisfied with their figure and who want to lose weight in a natural way. It’s a big help in the treatment of digestive problems (Chronic gastritis, superficial infections, Helicobacter). Citrus Aurantium extract – fruits of citrus aurantium (CA) were used as a drug in China for decades. In the year 1999 doctor Colker discovered the effects of CA in weight loss. Testing group which applied CA in the form of dietary supplements showed a significant decrease in fat. CA can be a viable replacement of ephedrine. Manufactured as a dietary supplement. Take 1 capsule for the first three days before breakfast on an empty stomach. After three days you may add another capsule 6-8 hours after the first dose. Take with plenty of water. Because of its extreme strength, do not take after 6:00 pm. Unless your aim is to reduce weight or to shape the muscles, we recommend you to use with the following products: Eshred, Tren6, Vengeance or Viking. If combined with THRASH your muscles will be maximally thick and extremely vascular. Suitable to be combine with all products from the following categories: gaining the muscle mass, building the volume. For use of healthy adults only, not recommended to persons under the age of 18 years. Not suitable for pregnant and nursing women. Consult a physician if you are taking any medication or have any medical condition. To determine tolerance for individual components start with a dose of 1 capsule per day and progressively add up to three. In high doses can be caused anxiety. Decimate eca should not be consumed by people with low blood pressure, heart diseases, disorders of kidneys and liver. 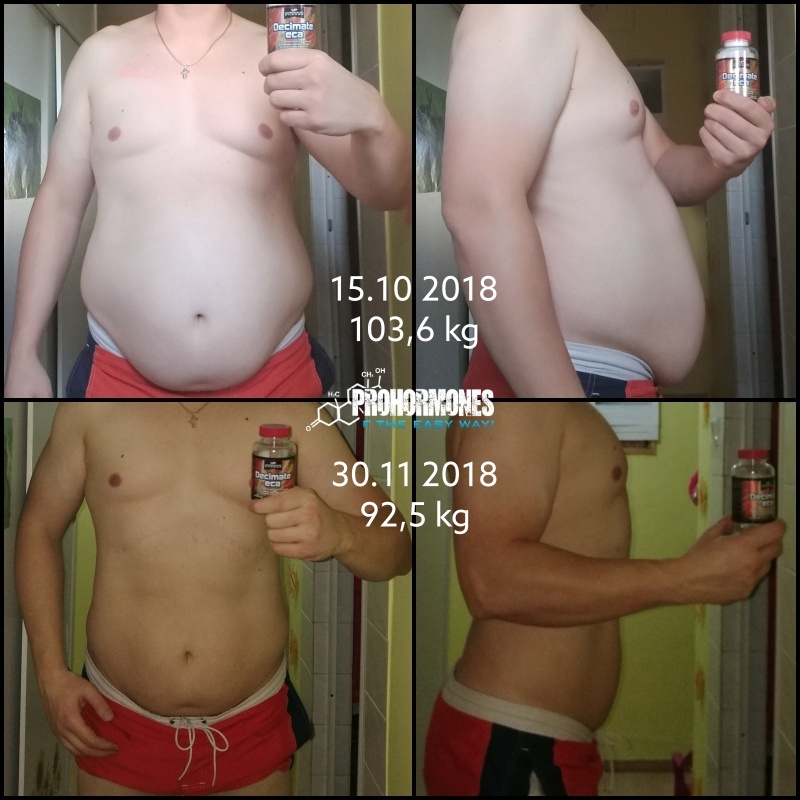 Decimate ist der stärkste Stimulator und Fatburner, den ich je ausprobiert habe. Nach einer halbe stunde steigt der Blutdrug rapide hoch. Erst nach 4-5 Stunde senkt er wieder auf 130. Gute und billigste Alternative fůr Technoparty.